Wow, yesterday’s post has generated quite a buzz. Glad I could facilitate and stimulate. [insert dirty joke here]. Few issues were brought to my attention since then. My dragon boat racing friend I mentioned in the original post was actually able to clarify things regarding the professional vs. amateur status. “Professional athletes get paid for doing their sport. It’s their profession. Think NFL, NHL, NBA. They get a salary (not just endorsements, sponsorships and prize money) for their work in their chosen sport. Everyone else is an amateur athlete, no matter how high of a level. For example, Olympians have historically been amateur athletes (performing at an elite (!) level). Currently, both professional and amateur athletes compete in the Olympics. I messed up in trying to explain what age grading is. In all honesty, I have not heard of this concept, until someone in the discussion brought it up, and I simply did not do my homework, assuming it is the same thing as percentiles in statistics. Thank you, Alec and Walter for pointing this out, and clearing up the confusion. Let me try this again. Age grading is a way of comparing all race participants to each other. For example, if I run a 5k in 21:12 and my 25-year old brother runs a 5k in 21:12, I have actually performed better than my brother (as men tend to be faster). The age-graded score is the ratio of the world-record time for your age and gender divided by your actual time. In other words, if you are the current world-record holder for any given distance for your age and gender, then you age-graded score would be 100%. In the prior example, my score would be 69.81%, while my brother’s score would be 60.85%. Notice how age grading can be used to compare performance across different ages and sexes, and even to track your own performance over time and over different distances. I still do not really have a feel of how good 69.81% is, but at least it gives me one way to compare my own performance across different distances. For example, last year I ran 10km in 42:56, resulting in age-graded score of 70.65%, very similar performance. 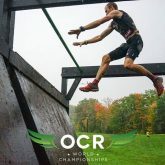 Many pointed out that the “real” elites simply have not discovered OCR yet. Well… no. That’s the point. As Joshua Gustin Grant points out, you can only judge the elite in any sport by those who participate. Some athletic skills translate, some don’t. I have beaten plenty of road runners on an obstacle course, who would smoke me out of the water on a flat pavement course. Many racers commented on the post, saying how much they hated the word “elite”. It’s elitist. It has a negative connotation. Now I may be beating a dead horse here (there is an expression like that, right? ), but please let me remind you that there is nothing wrong with the word “elite”. The word is not “elitist”. It’s a word. It means a certain thing, and there are no issues with the word if it is used in context. For example, “gay” is a term that refers to a homosexual person. There is nothing offensive about the word itself. However, if you start using that word out of context, it becomes offensive. As in, “that is so gay!” to describe something one dislikes. 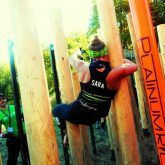 At some point, the discussion actually shifted from what “elite” means to what “obstacle racing” means. For some, it’s fun. Others – competition. Family event. Chance to meet friends. Chance to displace some aggression. Some wondered why the need to define things at all. There IS already a dictionary, after all. Why label things? We don’t need titles, do we? Maybe, I’m just not quite as free of a spirit as those guys. Maybe, it’s just my social sciences background talking – where it’s impossible to really research anything until it has been defined and operationalized. Maybe, it’s my passion for words and a good argument (preferably over a beer). Seth: What does it taste like? Maggie: You don’t know what a pear tastes like? I am curious about what “elite” means to you. 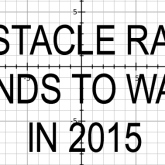 What “obstacle racing” means to you. There are as many answers as there are racers.